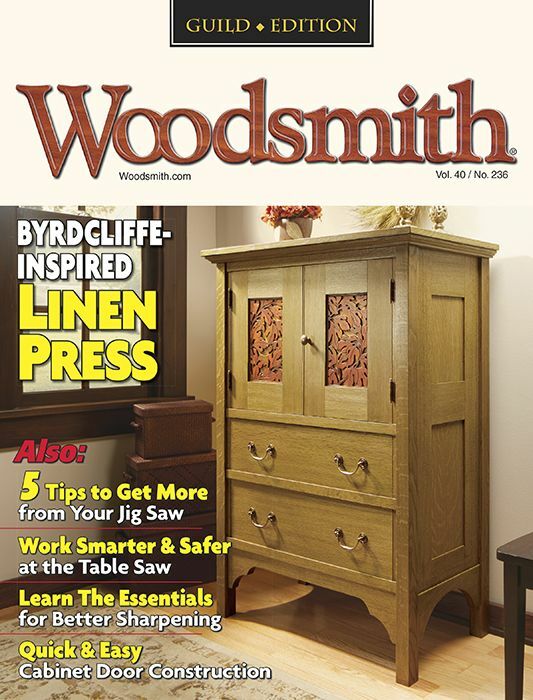 Every page of Woodsmith Magazine will make you a better woodworker, because you get more woodworking plans, more woodworking techniques, more woodworking jigs, and more about woodworking tools — and not a single ad. For more than 30 years, woodworkers have turned to Woodsmith for the most detailed woodworking plans and woodworking tips available anywhere. And now Woodsmith offers woodworking video tips and techniques online. Woodsmith is written by woodworkers for woodworkers, and it shows. Each issue is full of practical, hands-on woodworking information, as well as clear, step-by-step plans for great woodworking projects. Whether you’re new to woodworking or been a woodworker for years, you’re sure to find something in Woodsmith that will help you hone your woodworking skills.